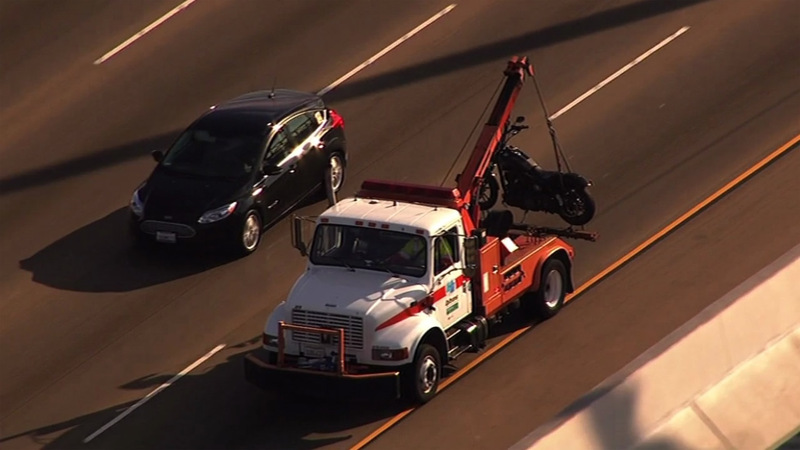 BAY BRIDGE (KGO) -- A motorcycle injury accident has been cleared from westbound lanes of the Bay Bridge. Major delays are persisting past the toll plaza. East Bay commuters are advised to take public transportation into San Francisco. The cause of the accident and the injuries to the motorcycle rider have not been released.